Many roofs have a life expectancy of 20 years. When it is time to get a new roof, there will be signs. These do not include leaking because when you notice leaking, it means that the problem may require more extensive repair work because now the home structure has been compromised. You do not want to wait until you have to use your unused pots to collect rain water inside your home. You will want to look for other signs signaling it is time. They include the following five. If you find pieces of your roof on the ground after an nbespecially windy day, it may be time. However, if you have a newer roof, the original contractor may not have done a good job. If the pieces were not fastened properly, they can easily fall off on their own. If, however, it is older, it most likely is too old. If you see little holes revealing the layer underneath, it is time to get a new roof. Blisters are caused by moisture inside a shingle. When this happens, then it is not providing you the protection that you need. If you see rot, then you need to replace the affected areas. It is a sign that your roof is absorbing moisture instead of repelling it. Curling is just what it sounds like. If the ends of your shingles are curled up, then they are not providing as much protection. These can provide areas where water collects and if the water doesn't dry up, it provides the perfect environment for rot to take hold. You will want to replace them. If your roof is newer, you will need to see what the underlying problem is. It could be from an improper installation or insufficient ventilation. If you see discoloration on your ceilings, it means it is time to get your roof checked. Water is finding its way through structure to your ceilings. Leave it for too long and you could be looking at rot starting to take hold. What Are Built-Up Roofing Systems? Although you must have heard the term 'built-up roofing' quite a few times, it traces its origins to the early 1840s. This roofing system is commonly termed as 'tar and gravel' and is the predominantly used in low slope roofs or flat roofs. This specific type of roofing system, in today's world, consists of multiple layers of materials to reinforce insulation and strength. some of the materials that are now used include fiberglass, polyester, organic felts that are inter-layered with bitumen, asphalts or coal tar while the finishing is completed with decorative rocks, gravel and even mineral surfaces. Due to energy saving concerns, most of the inter-layered built-up systems have a layer of board for insulation, helping retain the heat in winters and keeping the heat out in the summers. As one of the most durable roofing systems, built-up systems provide flexibility and strength due to numerous layers. For structural strength and better adaptability as per the local terrain and climate, this specific type of roofing can use a variety of materials and piles. This ensures comprehensive adaptability and better aesthetic concerns. And it is able to withstand abuse better than other roofing systems. Today most of the ply sheets consist of organic fiberglass mats which reinforce other materials. The standard size of ply sheets is 35-36 inches in width. However there are a myriad of built-up roofing alternatives that can be installed easily. Bitumen is a common element that is oftentimes used. Some of the built-up roofs are Ballasted asphalt and asphalt built-up (hot and old). Some variants of the bitumen that are widely used in the roofing industry include tar, asphalt and coal tar as cold applied adhesive. Due to the vast gap in the prices and costs of each project that is undertaken, if you are looking for an average price range of built-up roofing system, it will totally depend upon the customized design and the budget of your project. Due t its excellent finish and versatility, ballasted asphalt has grown prominence. Additionally, it has fir resistance properties which makes it one of the most affordable and smart roofing solution. Other forms of built-up roofing systems include 'Cold Built-Up' roofing which instead of using hot asphalt which can be applied with a squeegee or spray applied. As it does not release toxic fumes, it is a good ecologically friendly alternative, perfect for green projects. Comparing the two, cold Built-Up does not depend on the weather and has better performance. What is the cost of roofing? This is a very common question, but one with a very complicated answer. Of course, any home improvement project, especially one on the scale of a new roof, is going to be a sizeable investment. But a new roof will also considerably impact the value of your home, while also protecting the things and people that live in the home. Leaks are not only inconvenient, but can also lead to dangerous mould and mildew growth inside your home, so it is especially important to consider your needs before the ultimate cost of roofing. One of the first questions you need to ask, is what kind of job do you need to have done? You may not always need to replace your entire roof. In fact, roofs are generally built to last somewhere between 20 and 25 years, so if you have a leak in your roof, and your roof is also relatively young, you may just need a quick repair. In addition, the type and amount of material your roof is constructed from will also impact the cost. A metal roof may cost up to three times a traditional asphalt shingle roof; but you may also be using tar and gravel, or more recently torch on. In fact, materials are quite diverse and depending on the size of your roof the cost will vary widely. Obviously, a large roof will be more expensive to replace than a small roof. Similarly, the features of your roof will impact the cost. Cutting around vents, chimneys, and skylights takes time. The slope of your roof and whether there are varying angles or meeting slopes makes your roof more or less difficult to replace. Most contractors will quote your roof depending on the size of your roof, the type and cost of materials used, as well as the complexity involved in actually replacing or repairing your roof. Most significantly, there is even variability in the price between contractors. Many customers are looking for the cheapest option when they decide to replace their roof. And why not, if you can save a couple thousand dollars on your roof, doesn't that make sense? Unfortunately, the cheapest contractor is not necessarily the best contractor and the ultimate quality of your new roof will also depend on the skills of the professionals installing your roof. So, when it comes to the cost, many factors contribute. If you are considering repairing or replacing your roof, you should speak to many contractors to get a sense of how much it will cost. Most legitimate roofers will provide a free quote to replace your roof so there is no harm in comparing competitors in your region. Also be sure to speak to friends and neighbours who have recently had roofing work done. Ultimately, you should find a reasonably priced roofer who provides quality work. Everyone wants their home to be perfectly stylish and an ideal blend of uniqueness and functionality. 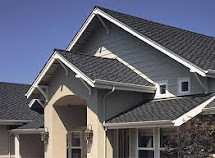 In order to provide that exceptional and inspiring uniqueness to their homes, architects and engineers prefer high-quality slate and metal roofing for the homes. It not only gives extra durability but also provides that luxurious sheen to the house. These two types of roofing systems are highly-popular because of their long-term durability and earth-friendly features. For homeowners, slate roofing is the finest option available. It substantially gives a distinctiveness and aesthetically pleasing presentation to the house structure, making it perfect in terms of looks. In fact, the beauty of natural earth component when combined with adorable craftsmanship in application yields in the formidable and inspiring architectural elegance. Unlike other roofing materials, slate roofing includes the high-quality of every single piece being unique - no two pieces of slate are exactly same. It also offers the apparent advantages including, but limited to, reliability, durability, zero-maintenance, earth-friendly, non-absorbent surface as well as stain-free surface. However, due to rapid transformation in the construction sectors, it is possible to select different types of styles and designs as per the house theme and personal tastes. Slate is also regarded as a weather-proof stone that is available in a broad variety of colors and gradations. Slate shingles are one of the finest and durable roofing options in terms of service life. It can last longer, depending upon the quality, applicability, and design construction of the stone. It is heavy in nature and therefore, resistant to high winds. Slate is often preferred in the shades of gray, black and dark red, depending on which quarry the stone comes from. Most of the roofing manufacturers offer standard slate sizes, distinctive sizes specially made to the pre-defined specifications in order to match the preference and style. Manufacturers can mix and match colors for a mottling effect. Weathering and semi-weathering slates also change color with age, so your roof will develop a unique patina. Slate shingle installation needs a solid deck with the proper framing. Most of the modern homes meet the basic structural standards for slate roof installation. If you are looking for distinguished and most exciting roofing for your remodeling project, then you must consider slate roofing. Also, you must consider the experienced company that can understand and interpret your needs and offer a perfect blend of superior solution for your roofing requirements. When deciding on a new roof for your home, the choices can seem overwhelming. There are so many products available, each offered in numerous colors and styles. With such a big decision, it is no wonder why many people tend to leave the choosing up to the roofing contractor. The average homeowner will spend only 15 minutes selecting the roof to be installed on their home. Many more will simply replace the old roof with one that is nearly the same product, color and style as the old roof. Getting a new roof is an exciting experience that can revitalize the look of your home. 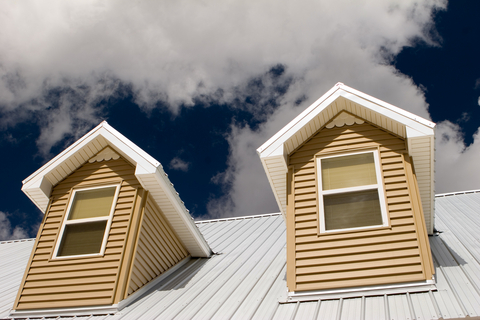 Every homeowner should review all their options before deciding on a roof product. These are the most common type of roof materials. The majority of homes in America have these shingles, as they tend to be the cheapest option. Asphalt shingles provide good coverage and fire protection in most climates. However, shingles may crack, bend or break in high winds or extreme climates. They also tend to have a shorter life span than alternative roof materials. Traditional, asphalt shingles are not environmentally friendly and are difficult to dispose of. They are unable to be recycled or reused and end up in landfills. However, recent advancement in shingle materials has produced a recycled composition product. These recycled asphalt shingles are made from recycled rubber and plastic, producing a green roof product that is environmentally conscious. In recent years, more homeowners have shifted towards roof tiles as the roof product of choice. These tiles come in many colors and are often made from clay, ceramic or slate. Roof tiles are longer lasting than asphalt shingles and are highly fire resistant. Roof tiles tend to be heavier than other roof materials and can be more costly to repair if a tile becomes chipped or broken. Roof tiles have yet to come out with an explicit "green" product; however, the nature of the tile itself is inherently environmentally friendly. Clay and slate are natural materials found in the earth and do not give off the toxic chemicals found in traditional asphalt shingles. Wood tiles, or shakes, are longer lasting than asphalt shingles and require less maintenance. In general, wood shakes are more resistant to wind and weather damage than asphalt shingles. However, wood shakes are more vulnerable to water damage, mold and mildew. They also require explicit treatment to be considered fire resistant. Wood shakes are naturally environmentally friendly. They are biodegradable and do not posses any toxic chemicals. However, in recent pressure to conserve trees, many wood shakes are now made from a recycled wood composition. Metal roofs have become increasingly popular over the years. They are usually made from aluminum, tin, steel or copper. Metal roofs are the longest lasting roof materials and highly weather resistant. Metal roof materials are light weight and provide better insulation than other roof materials. Metal roofs can be expensive to install or repair. Metal roofs are can be made from scrap metal, which makes them a great quality green roof product. Old metal roofs can be recycled into new roofs or other metal products. How Can a New Roof Save You Money? Today, the majority of people consider their most valuable asset to be their home. In fact, for the greater number of people, their residence is the asset in which they are most willing to invest their money. There are many ways to innovatively beautify a house while maintaining or adding to its value as well. Homeowners usually allot more of their housing budget for things inside the building, such as fixtures or air conditioning, while finding every excuse to save money when it comes to replacing their roof. The truth is that unknowingly, they may be wasting their money on a bad system. When the appropriate roof is installed on a house, it will save money in the long run even if the initial outlay of money is somewhat more expensive. Hot and sunny weather can cause the consumption of energy to increase dramatically, especially when an air-conditioning system is in use. Using white roofs will dramatically decrease expenses related to air-conditioning by 20 percent, especially during the summer months. Furthermore, this decrease in energy consumption means the ventilation system is contributing smaller amounts of carbon dioxide emissions into the environment. Emitting less carbon dioxide into the environment means less harm is done to the ozone layer. No matter what type of material is used for housetop coverings, painting them white can actually slash 15 percent off electricity bills. This is a positive step toward helping the environment and one way to save energy while helping to cool the home. Usually contractors install a white covering on the roof that is a shiny plastic-treated material. This material will reflect the sun's rays and result in a decrease in room temperature in the building. Light-colored roofs are cool coverings and the physics behind this fact is simple. Light and heat are both delivered from solar energy. Lighter colors can reflect back considerable radiation fractions and also re-emit small amounts of the absorbed heat, thus keeping the building cooler. Light-colored coverings can include traditional colors such as cream, gray and sienna which are options other than white from which buyers can choose. Metal roofing has a growing demand with consumers because it offers not only solid and presentable housetop coverings, but also great savings of up to 40 percent off the annual energy cost for a household, especially when it is painted with a light color. Metal coverings that are highly emissive can reduce air temperatures in an urban location. They contribute to spending less money in each family unit and create less air pollution in the neighborhood. Homeowners who want to renovate their residences for resale should think about buyers who usually choose metal roofing systems. There is a higher gain on resale of up to six percent on structures with these systems as compared to those who use asphalt. The benefit of the safety and longevity of this quality covering is usually a positive factor that attracts buyers. The benefit of constantly improving technology in every industry ensures that the highest quality of housetop coverings for every household can be achieved. More and more contractors have committed to the quality of these product designs that will fit almost anyone's budget. An example is the new reflective pigment used in coating housetop coverings. This is a special coating formulated to reflect infrared rays. The result are homes that are much cooler and much more energy-efficient than any others on this planet. Homeowners should invest their money on a good quality, energy-efficient roofing system that is appropriate for the area in which they live. This will not only make their home more attractive but add value to it as well. Contacting a contractor to discuss the many roofing options available for almost any budget may be the best decision a homeowner could make to save money since purchasing their residence! Many people are wary about installing new roofing insulation on already existing roofs since they feel it could alter the appearance of the house. Actually this is not true for an experienced contractor can install roofing insulation without altering the external appearance of the house since it is fitted under the existing roof. Those who live in mobile homes like caravans must install roofing insulation for caravans are prone to get extremely hot or cold since they have thin walls. Suitable insulation will keep caravans cool or warm depending on the outside temperature. Factories and offices with proper roofing insulation will find that the productivity of the workers increases. Factories especially can get very hot and with the right roofing insulation, it will remain cool even during hot weather. Cool and comfortable work environment will be directly responsible for better output. Many people love homes where there is an attic or a loft. This can be converted into a bedroom for teenagers or as a guestroom. Attics and lofts can get extremely hot or freezing cold during winter. Good roofing insulation will ensure a comfortable temperature in the attic or loft by preventing heat from escaping via the roof during winter and preventing heat from entering in during summer. Hence, ensure you buy the right roofing insulation for whatever type of home you possess so that you can be comfortable within the home while at the same time saving on energy bills. There are many good roofing contractors who specialize in roofing insulation. Get a list, verify their credentials, work out a good price and get your roof insulated soon. Shingles are the most common type of roofing material used in the United States. If it is the time to replace your roof shingles, do not just get the cheapest ones, for by installing insulating roofing shingles, you can save a great deal in the long run by running your air conditioner or heater less. The right insulation for roofing shingles will keep a home warm in winter and cool in summer. Rain, sun, snow and wind constantly batter roofing shingles. If the shingles do not have any insulation, the heat will pass right through and heat the inside of the house during summer when you want it to be cool. Similarly, when snow and biting cold winds blow, they again will pass through the shingles and the home will be much colder. Both these will result in the heater or air conditioner working overtime to warm or cool the home. Hence, energy bills will increase dramatically. Here are the different types of roofing shingles available and their relative insulation benefits. Wood shingles are used in ranches, cottages or historic-style villas. They do offer some insulation but are difficult to maintain, can rot and decay easily, have a low fire rating and are expensive. Metal shingles though more expensive provide better insulation. Metal shingles are made from tin, aluminum, copper or steel. There are usually two layers of shingles and they are packed in between by insulation foam. Eco roofs are not really shingles but have some sort of vegetation growing on the roof. They are excellent for insulating the insides of a home besides looking attractive and easy to maintain. Solar shingles can be used on roofs facing south. These shingles while they do not have insulation trap solar energy during the day and this energy can be used to heat a home during the night provide hot water for baths and such. Of the different types of shingles, asphalt shingles are the cheapest but since they need insulation installed, they will become more expensive. Of the entire lot, metal shingles are the most cost-effective and light. Roofing insulation is a must in this modern day when energy resources are depleting worldwide. Roof Cost - What Goes Into the Total Cost of a Roof? Your roof cost can be a substantial portion of your total cost of home ownership. But, it is also one of the most important. A good roof protects your home's structural integrity as well as all your valuable belongings inside. So, it goes without saying that when you are shopping around for a new roof or roof repair that you get the best money can buy. Quality is very important in this area, much more so than cost. Know what you need and you will be able to shop smartly and ask all the right questions of the various contractors out there. One very important aspect to know is what goes into the total cost. You can get any number of roof coverings. You can choose from asphalt shingle, wood shingle, tile, metal, and slate. Asphalt shingle is your cheapest option. It is possible to re-roof it yourself with these shingles. Tile is a very durable material and will last longer. It will also provide better protection. It costs a bit more than shingles. Slate is your most expensive choice. This type of roof lasts the longest as well. When it comes to quality, you really do get what you pay for. Depending on locality, the cost of supplies and labor can vary drastically. Two different locales can have price differences in the tens of thousands! In some cases, all that is necessary is to lay down another layer of shingle. But in other cases, you will need to re-roof which adds to the cost. If you have one of these, you will need to make sure that the contractor you choose really knows what he or she is doing. Some people have experienced leaks after a new roof has been put in because the contractors did not do quality work when it comes to the area where the AC is mounted. It takes expertise and good workmanship to re-roof in the presence of a roof-mounted AC unit. This adds to your cost as well. If any structural damage is found during the process, your roofer will recommend that you get this repaired before continuing. Many roofers are capable of performing this task as well at cost, of course. Taking the above into consideration, you can do a preliminary visual check yourself and see if you can spot any items that may increase your costs. Of course, if you live in a HOA, your roof cost is depending on the type of roofing material is acceptable in your neighborhood. Seamless gutters were specifically designed to provide homeowners with maximum protection against harsh weather conditions. They refer to a type of gutter installation wherein gutter materials have less leakage points and problematic seams. Since these gutters are installed in one continuous roll, they can prevent all the factors that can contribute to leaky roofs and gutters during the strongest rainstorms and typhoons. If you consider your home as one of your biggest investments, you have to think about installing these flawless gutters on your roof. Professional gutter contractors can create durable rain gutters that keep your home away from all the risks caused by leaky gutters and substandard gutter materials. Seamless gutters - are they really important? Seamless gutters are made from pre-formed rolls of durable composite metal. They are usually seen as very narrow channels that are directly attached to the roof's outer edge. Their main task is to collect all the rainwater falling down the roof and to keep them away from the foundation of the house. Without a professional seamless gutters contractor, it will be impossible to keep your house protected from this risk. Faulty gutters that were installed into your roof can lead to the erosion of the soil located at the base of your home. A roofing system with inefficient gutters will only weaken your home's foundation as time passes by. There are many benefits associated with the professional installation of high-quality gutter systems into your home. Firstly, you can create covered gutters that can prevent dirt, leaves, and nests from entering and blocking your gutter system. Secondly, you can keep rainwater away from your home and prevent it from damaging your basement, driveway, or landscaping. Finally, a professionally-installed gutter system can make sure that the rainwater is directly flowing down into your gutter system. This will prevent your gutters from overflowing or producing leaks that can harm your home's exterior and interior areas. With a little help from a skilled gutters contractor, you can keep your house in tiptop condition without any effort. When looking for the perfect gutter system contractor, you have to trust companies that are willing to give you the best gutter system anyone can ever have. Their professional installers can provide you with maintenance-free gutter systems that are guaranteed to last for a lifetime. Start your search by asking for referrals from your friends and family members. If they have already worked with skilled gutters Minneapolis contractors, it will be easier for you to find a company that deserves your trust. After this, check out the websites of guttering contractors and get their contact numbers. Ask them about the guttering installation processes that they specialize in. Inquire about the amount of support they are willing to give if ever something goes wrong with the installation process. Once you have asked them these two questions, it will be easier for you to determine whether they are qualified to install seamless gutters into your roof or not. These are the most important things you need to remember before hiring your desired guttering contractors. Always remember that professional contractors will always be willing to deliver excellent services without charging unreasonable installation fees.